This great event only happens a few times a year. 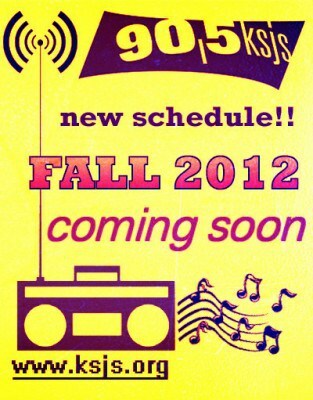 KSJS shuffles their DJs around to fit your schedule. Starting at 10pm on Tuesday September 11th, our On-Air Schedule changes. Make sure to listen and find out who your NEW favorite DJ will be. Do you have a playlist on-line? Yes we do. Here is the direct link to our charting service. Our djs upload their tracks as they go.